So How Does Drake's "Summer Sixteen" Merch Stack Up Against the Likes of Kanye and Bieber? 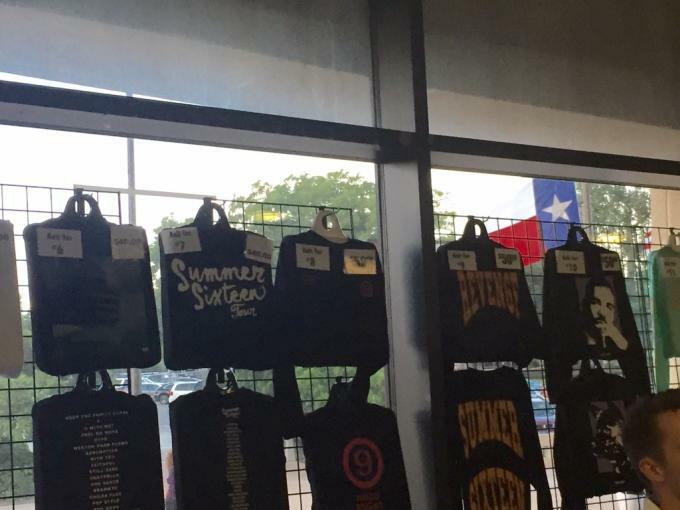 Drake kicked off his "Summer Sixteen" tour with Future Wednesday night and that means, of course, new merch. We&apos;ve been anticipating the unveil of Drake&apos;s merch because while other artists have tried to elevate the pieces into a fashion piece, that doesn&apos;t seem to align with what we&apos;ve come to expect from the not-so-concerned-with-fashion rapper. Drizzy even seems to take shots at those who are concerned on the album he&apos;s touring off of, VIEWS. "All my ni**as ain&apos;t off rockin&apos; Gucci/One do it then we all gotta do it," he raps on "Still Here." The connotation is that Gucci, the hot label everyone is talking about, knocking off, and wearing right now, is not of interest to him and his crew. Meanwhile, artists like Kanye West are erecting money-making pop-up shops in order to sell customized denim jackets and graphic tees made in collaboration with an artist. Then there&apos;s Justin Bieber, who brought his merch to boutique retailers like VFILES in NYC, Nomad in Toronto, and Alchemist in Miami. Bieber was even the first musician ever to get a pop-up in Barneys, where he sold an almost-$1,700 leather jacket. Drake seems to be going the opposite route. There&apos;s no cube that required blueprints, or fancy department stores involved with Drizzy&apos;s merch. You simply walk up to the counter, stare at a bunch of screen-printed stuff on hangers, and make your purchase—the old-fashioned way. Drake&apos;s merch also seems to take a more traditional route. 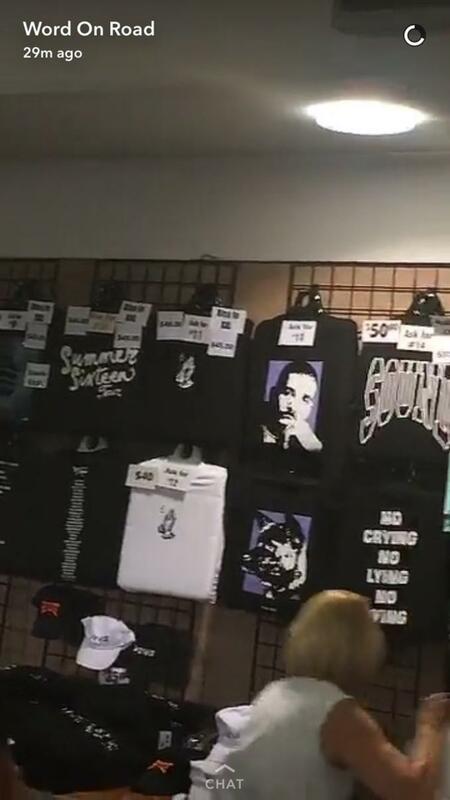 The selection of tees are printed with the name of the tour, Drake&apos;s praying hands logo, and a portrait of Drake. It&apos;s pretty standard—and it&apos;s refreshing in that way. This was to be expected from Drizzy. You could see this coming just from the way he handled his own VIEWS pop-ups. Drake had boxes filled with a relatively simple tee with the name of his album on it and they were given away for free to his fans. The only thing "fashion" about it is that the logo was created by former Comme Des Garcon designer Filip Pagowski. Still, that&apos;s nothing compared to Bieber&apos;s merch, which was purposefully stocked at trendy boutiques and was sold as Vetements-inspired gear designed in collaboration with Fear of God&apos;s Jerry Lorenzo. Other musicians have fallen for the same trends. Zayn Malik, Bieber, and Post Malone have all sold metal-inspired gear. There doesn&apos;t seem to be any of that with Drake&apos;s merch. The closest the rapper gets to current trends is the "Revenge" graphic (above) he posted on his Instagram. 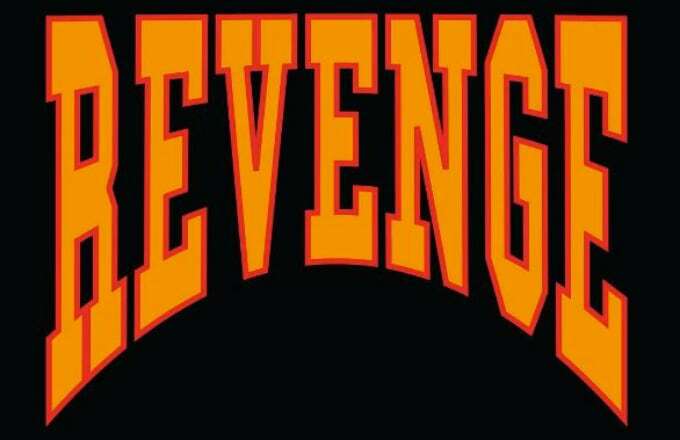 The curving on the word "Revenge" is reminiscent of the Thrasher logo, so you could accuse Drake of cashing in on the skate trend. But Vogue pretty much deaded the skate trend a couple weeks ago. Now, we can&apos;t speak for the 6 God candles and incense holders that were listed in the tour&apos;s "6 God Meet & Greet" package. Those are probably lit.